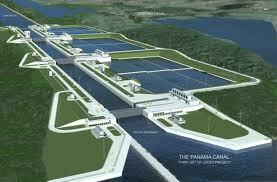 The Republic of Panama is expected to become the transportation and logistics hub of the Americas. It is situated at the narrowest point of the Americas, a prime location connecting the major world markets. The Panama Canal connects 144 routes and the country’s modern port system. Allows for better access to the routes from Asia to the East Coast of the U.S. Facilitate the flow of grains (a very popular commodity) originating in the Midwest of the US. In addition, there may be opportunities for increased transportation of coal and iron ore originating from Colombia and Venezuela, with destinations in Asia. It will provide more jobs related to the handling and distribution of the cargo as well as other business related transactions. DRT looks forward to taking full advantage of the Panama Canal so that we can continue to provide you with competitive rates and superior service.